These options include the TutiiBag (which I'm reviewing today), TutiiBox, and TutiiMask. 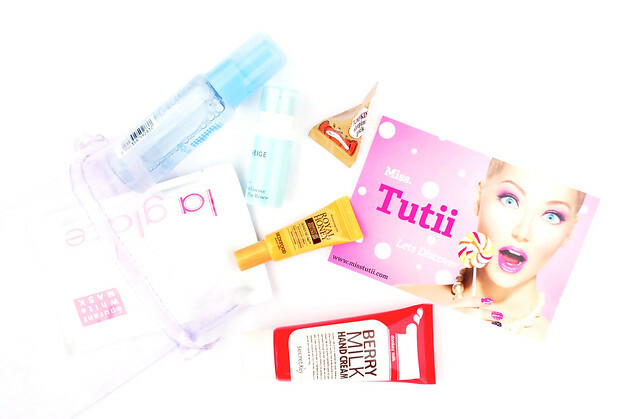 The TutiiBag includes 4-5 deluxe samples or full sized products, while the TutiiBox includes 5-6 full sized products. For anyone who enjoys trying out new products monthly at a discounted price, both are great options. And for you mask addicts out there, the TutiiMask option will get you 6-8 masks for not just your face, but your eyes, lips, and body as well! 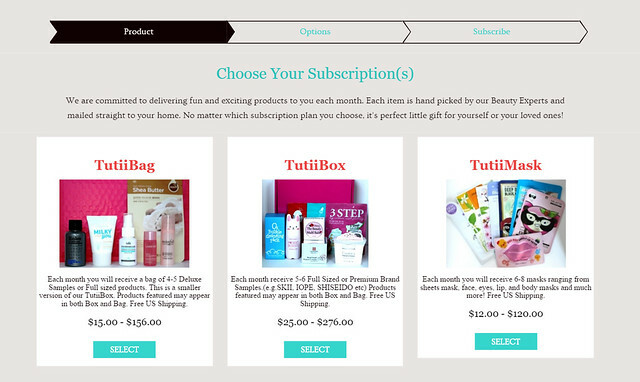 In addition, when you pick your subscription service, you have to select your skin type (normal/dry/combo or oily/acne/combo), which helps Miss Tutii decide which products to include in your monthly delivery. This helps ensure that the products you receive are suitable for your skin type, which is a great customization in my opinion. When it comes to subscription services however, there's always the question of whether or not it's worth it. Is the total value greater than what you paid for? Are the products any good, and will you actually use the products? These are the questions I'll be addressing today, to see if the TutiiBag is worth the $15 price tag. So let's get started with the review! *Note: All values mentioned in this review are based on the retail price of the product in its home country. These values don't factor in shipping or taxes, so it will differ from the price stated on the information card. The TutiiBag for January came packaged in a lilac organza drawstring bag. I'm not sure whether or not this is the color that they'll be using for every month, or if they'll switch it up it a bit every month. I think this is a good way to package the samples since you can re-use the bag for future gifts! 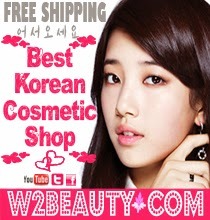 Along with the bag, you also receive a card with all the information about the products included. There was a printing error this time and the hand cream info was cut off from the card, but that's okay! Mistakes like this happen, and I'm glad that Miss Tutii didn't print another set since that would've been a waste of paper. In this bag, there were 6 products- 4 deluxe samples and 2 full sized products. 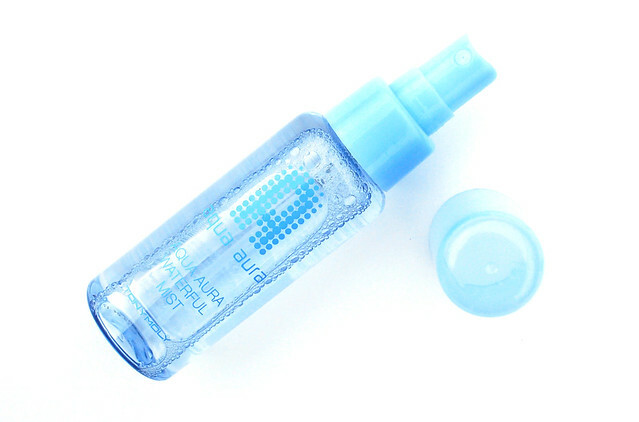 The first product was the Tony Moly Aqua Aura Waterful Mist, which is a deluxe sample. To be honest this is more like a full sized product, since the difference between the sample and the full size is only 20 ml. The deluxe sample contains 65 ml, which is actually more product than most travel size mists. The size of the bottle is perfect for carrying around in your bag, and hydrating mists like these are good for all skin types! I've used this a few times already and I really like the fine spray it has, although the scent is a bit more perfume-y than I would've liked. Overall though it's a good inclusion to the bag, and something that I'm willing to try and use. 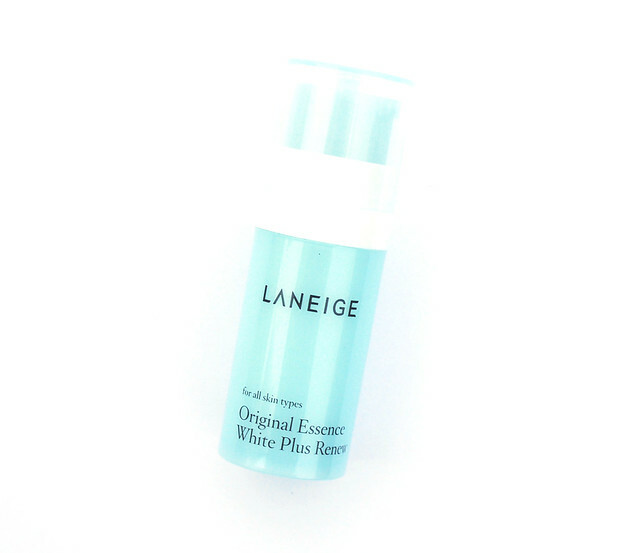 Next up is another deluxe sample from Laneige, the Original Essence White Plus Renew which is one of their best-selling products. I've actually used this product before and found that it works, but its brightening effects disappear after you stop using it. However if I hadn't tried this before, I would've definitely been excited about this sample! 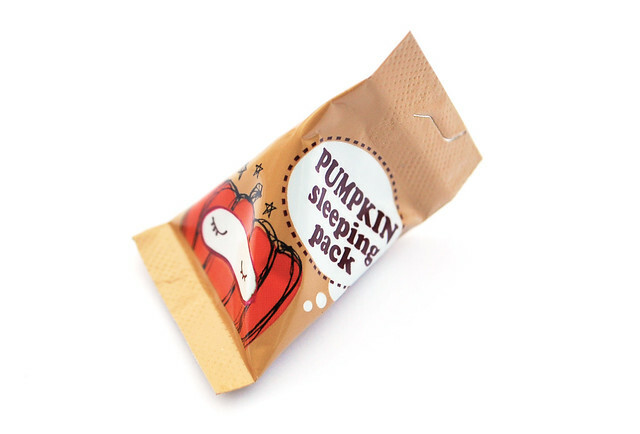 The next product is also another deluxe sample, and it's the Too Cool For School Pumpkin Sleeping Pack! Isn't the packaging adorable? Judging from the size of the sample, it's enough for you to use once. I haven't tried this yet, but I definitely plan to! In fact, I think I'll give it a try tonight. 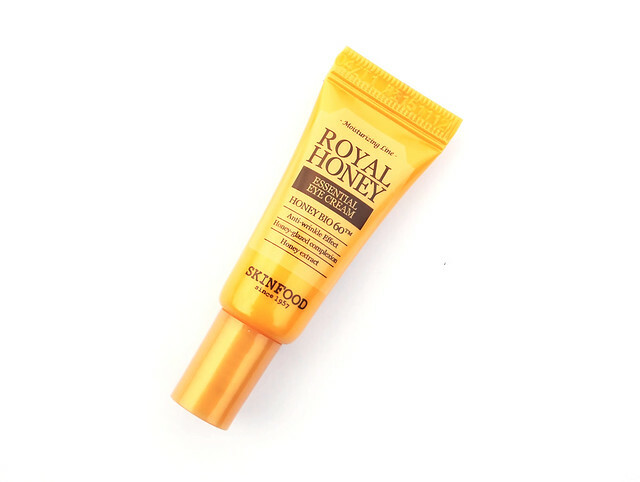 The last deluxe sample in the bag is the Skinfood Royal Honey Essential Eye Cream. I don't know if it's just me, but eye creams take forever to use up, so when I saw that a deluxe eye cream sample was included in this bag I was really happy! If you guys know me, I'm a huge fan of honey/propolis products. I have yet to try a honey eye cream, but I'm really excited to give this one a try. Now we're moving on to the full-sized products! 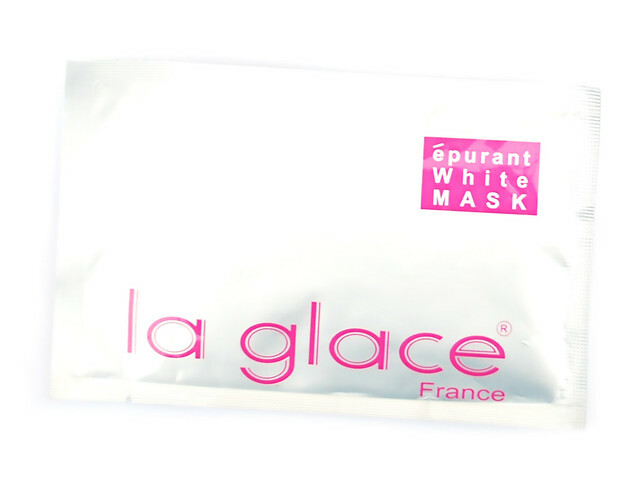 First up is the la glace épurant White Mask, which is a whitening/brightening sheet mask (the name printed on the card is Collagen Sheet Mask). 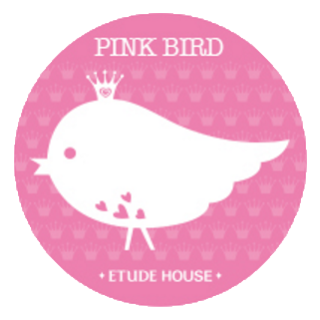 I've never heard of this company before, but it seems like they are a skincare brand based in Hong Kong. I like hyaluronic acid and collagen, and I like brightening products, so I'm guessing that I'll like this mask. Plus who doesn't want extra sheet masks? 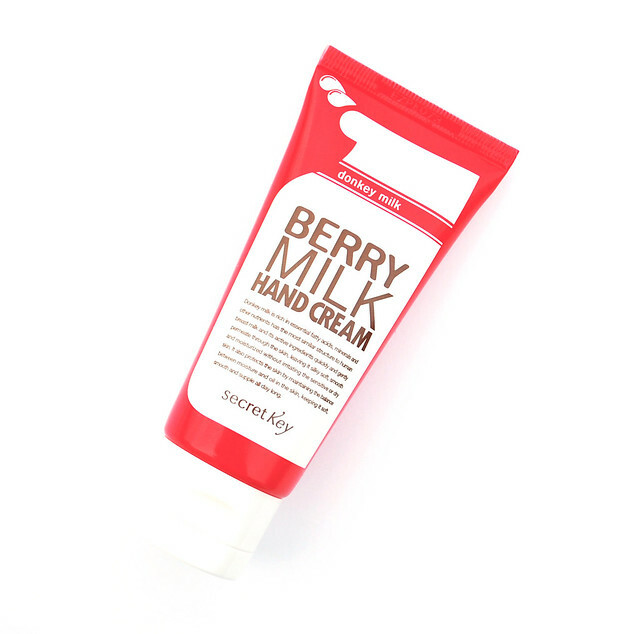 Lastly, the second (and final) full-sized product is the Secret Key Berry Milk Hand Cream. Unlike usual hand creams, this hand cream from Secret Key is made using donkey milk. Whether or not it's better than regular milk I can't confirm, but this is hand cream is quite moisturizing and absorbs very quickly! Also, I was surprised that it had a cooling effect when I applied it, which I imagine will be very refreshing during the summer. This product was sent to me for review purposes by Miss Tutii. All thoughts and opinions expressed are my own and 100% honest. Overall, I think the Miss Tutii TutiiBag is perfect for people who are just getting into Korean beauty, or even skincare in general! All of the products included are ones that anyone can use. 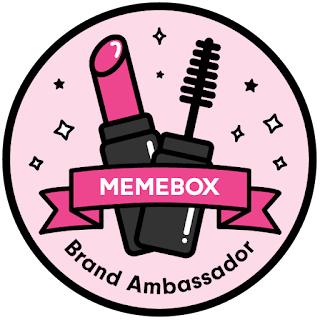 I'm very reluctant to get subscription services because most of the time they include products that I'm unwilling to use, so I was pleasantly surprised to find that there wasn't a single item in this bag that I wouldn't try. Plus, deluxe samples are really nice for when you're traveling. For their very first TutiiBag, I would say that it's a total success! I'm excited to see what Miss Tutii brings for their future bags and boxes, and hope that more and more brands are introduced with each month! You can subscribe to one of Miss Tutii's subscription services by clicking here. The starting prices for the TutiiBag, TutiiBox, and TutiiMask are $15, $25, and $12. The prices decrease by $1 if you choose the 6-month subscription, and $2 if you choose the 12-month subscription. Be sure to use my code GLORIAUSDAYS when checking out to receive 20% off your purchase! This discount is good until 1/15, in which after that the discount will be 10% off. What do you guys think of Miss Tutii? Will you be trying out one of their services?